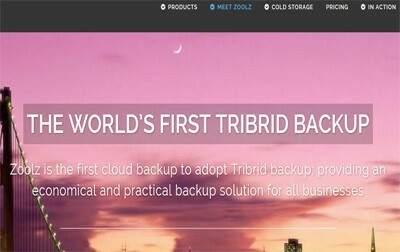 Zoolz is a fairly new cloud storage provider and utilizes Amazon Web Service infrastructure for providing their services. They provide many of the same features and benefits that most other providers offer, although they have found a few ways to separate themselves from the pack in what has undoubtedly become a crowded industry. Zoolz really outdid themselves when it comes to the features and benefits that they offer, especially for the value that they provide. This is mostly due to the fact that they use the AWS infrastructure, which allows them to emphasize and concentrate on other areas of their business. Scalability is very important for any business or corporation that is looking for a solid cloud storage provider. Fortunately, Zoolz provides this scalability by offering packages that can be customized to grow as your data storage needs grow. While a lot of providers will simply not allow you to go over your storage limits, Zoolz simply notifies you and lets you know that it is time to upgrade your plan to something that better fits your needs. The dashboard that Zoolz provides for finding files and managing your account is actually quite aesthetically appealing. 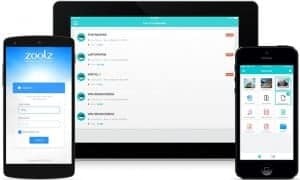 You will be hard pressed to find another cloud storage provider that puts as much effort into creating an interface that is as easy-to-use and visually appealing as what Zoolz offers. Even their mobile app is something to behold. Zoolz really went out of their way to create one of the easiest to use mobile apps available in the industry. They make it super easy to access files from any mobile device and even have a cool feature where users can view photos without transferring them to JPG first. Read your documents and save your photos offline. Zoolz really goes out of their way to cater to the unique needs of each user. They clearly understood from the very beginning that they needed to do some things to separate themselves from the competition in this crowded industry and their customizable options are just one of the many ways that they have been able to do this. 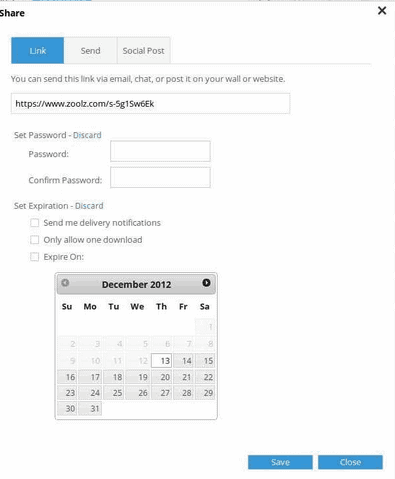 The security features of Zoolz are also outstanding. They protect everything with a 256-AES encryption before it ever leaves your network and have the same high level of encryption for stored files. They even offer you the opportunity to have your very own encryption key so not even their staff can view your data or files. 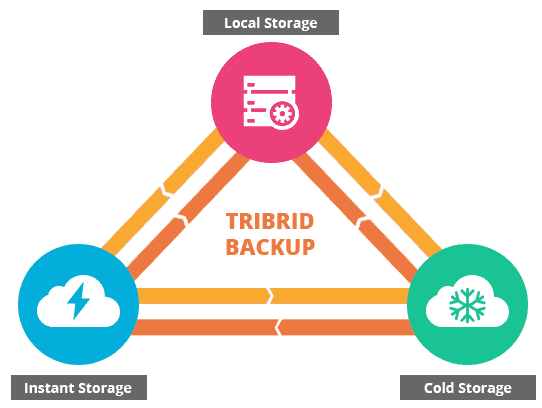 Cold Storage – Based on Amazon Glacier; serves as inexpensive cloud storage, suitable to store large amounts of data that is rarely accessed. 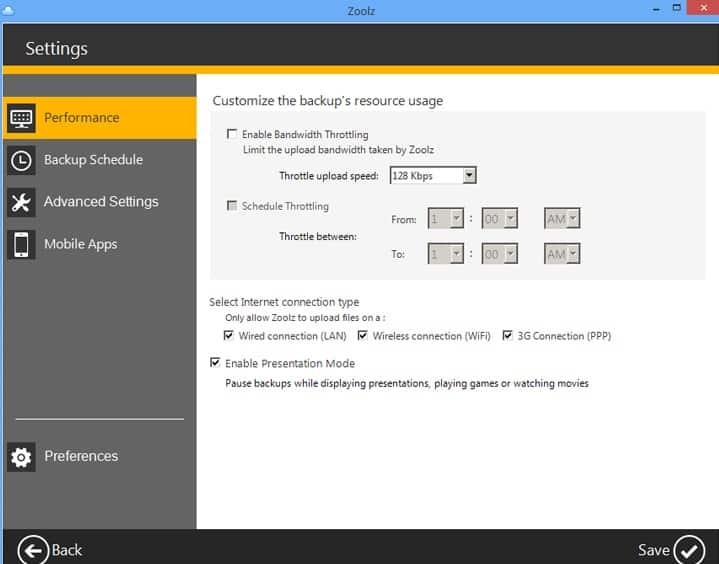 Local Storage – By enabling Hybrid+, Zoolz can create a local copy of backed up files for faster recovery time; by prioritizing recovery from the local repository over the Instant and Cold Storage. As would be expected from a newer company, Zoolz has put a lot of their focus on offering better customer service than their competitors. This focus seems to have panned out so far as they have impressively fast response times from both their technical support staff and their sales representatives. They have a very large help center as well that features a ton of information about everything you need to work through your account. One thing that Zoolz does not have that you will find with most other cloud storage providers is a community forum where admins answer popular questions from users. It seems as if they instead focus on continually adding to their help center topics, which is never a bad thing. 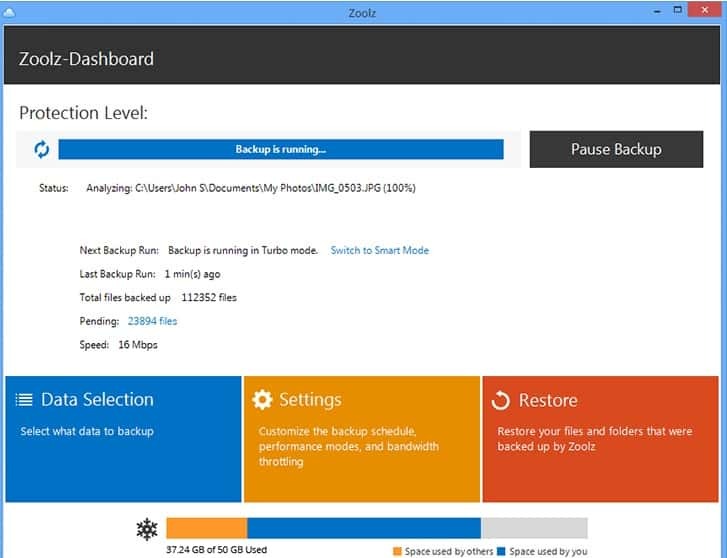 The main disadvantage of choosing Zoolz as your cloud storage provider is that it can take as long as 3-5 hours to restore files. This is due to the fact that they are not using their own infrastructure and is one of the cons that you will have to deal with if you want to enjoy all of the great features that come with their service. Another slight disadvantage is that they can currently only be used through Windows. This prevents a lot of users from being able to use them as a provider and is no doubt something that they will be looking into changing in the near future. Zoolz offers both a Home plan and a Business plan for users to choose from. The Home plan includes four different options, with the most popular one being the Family plan that allows for five different users and 1TB of storage space. This plan comes in at $79.99/year, which is very reasonable compared to what most other providers offer. 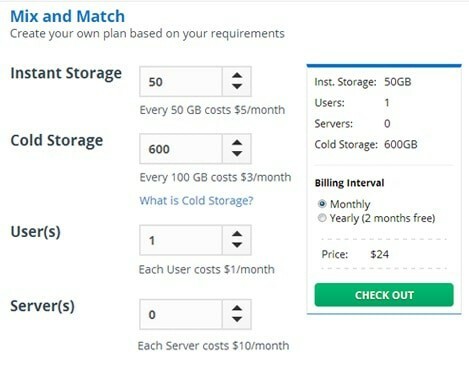 The business plan for Zoolz starts at $30/month for 1TB of storage space. There are several customizable options, mainly when it comes to users and additional storage space, that are much higher priced. Overall, their pricing is at or below the industry average when it comes to both personal and business plans. While Zoolz is certainly the new kid on the block, they have made it known that they will not be bullied by the big guys. They have several features that are fairly new to the industry and have made a case for being among the best values out there. Their personal plans are especially affordable and useful for families that want the ability to store a lot of data between several different users. At the end of the day, there is very little chance that you will be disappointed with what Zoolz provides. While they might not be the absolute best cloud storage provider in the industry, they certainly do their job when it comes to satisfying the needs of a variety of different users. With low and flexible pricing is one of the best features that Zoolz offer allowing its users to customize their plan especially to business clients. Also features easy to use interface. Takes long to restore files. Keep well away from this business, it’s not just your privacy at risk!!! I had an account with them for little under a year, they managed to make a complete mess of 5 TBs of data on their Business plan at my cost. The support is next to useless, and the tool does not deliver on performance for downloads or uploads. But what most worried me was exactly how safe are my documents were so I did some research and found out this is not actually a UK business, these people are based in the middle-east in Jordan of all places, which is why I moved what documents I could retrieve to a new provider called Datacastle RED who I checked out before signing up to their business plan. If you value your privacy and electronic documents then keep well away from this smoke and mirrors business! I do not recommend Zoolz service – I been trying to restore archives since Monday and it has been nothing but a frustrating experience, especially when their tech support ignores emails!